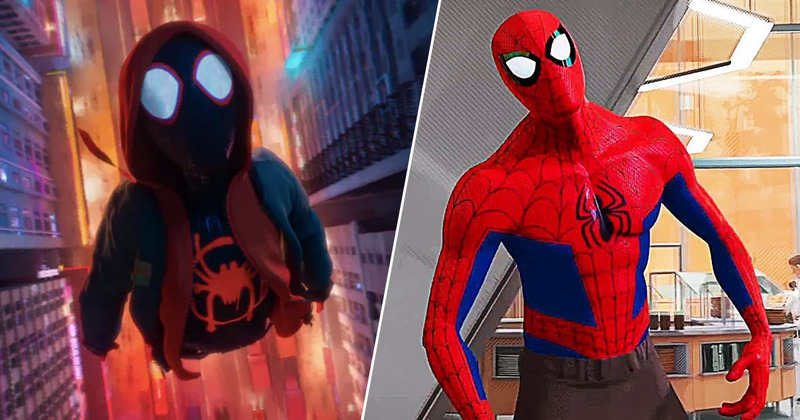 Spider-Man: Into The Spider-Verse has won Best Animated Feature at this year’s Oscars ceremony. The film beat out fellow superhero movie Incredibles 2, Disney’s Ralph Breaks The Internet, Wes Anderson’s Isle of Dogs and Mirai to the coveted award. Spider-Verse has been very triumphant this awards season, also picking up the BAFTA, Critic’s Choice and Golden Globe awards for Best Animated Film. Spider-Man: Into The Spider-Verse follows African American/Puerto Rican Brooklyn teenager Miles Morales, the first Spidey of colour, as he becomes Spider-Man. Crossing paths with his counterparts from other dimensions, the ‘Spider-People’ team-up to stop Wilson Fisk, also known as the Kingpin, as he presents a threat to all realities. It is a superb film, which was well received by critics upon released. Here at UNILAD, our very own film fan Tom Percival described it as the best Spider-Man film yet. Spider-Man: Into The Spider-Verse is without a doubt in my mind the best big screen adaptation of Spider-Man and potentially even the best comicbook movie ever made. It perfectly balances everything a superhero movie needs; action, humour and thrills, while also giving us the most accurate take on Stan Lee and Steve Ditko’s iconic creation ever, Peter Parker. Perhaps though the reason I love Spider-Verse as much as I do is because of its absolute bonkers premise, so out there it could only work on the pages of a comicbook, or a film that embraced how truly weird the medium they’re adapting can be. Spider-Verse however embraces the silliness endemic in comicbooks wholeheartedly, basically going as out of its way to be as weird as possible, and it works wonderfully allowing the film to show the audience things I didn’t think could ever be seen on the big screen. Congratulations to all involved with the film!